With 6,877 m2 by the beach, the Espace Riviera boasts a panoramic view and exceptional light. 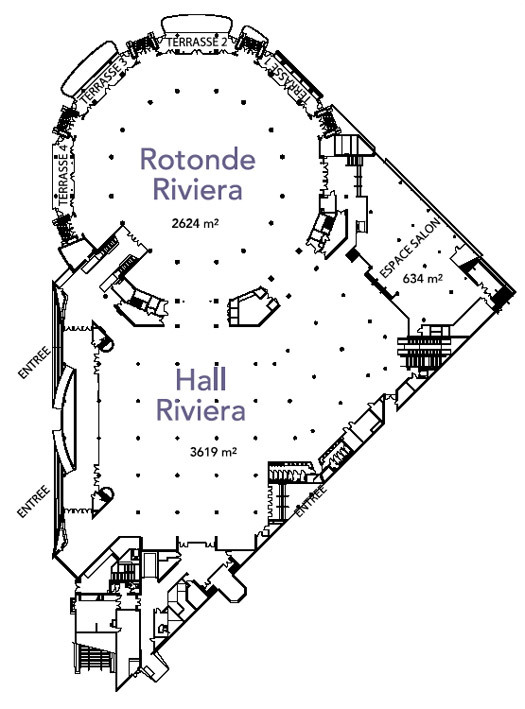 The Espace Riviera is divided, at level 0, into 2 zones (the Rotonde Riviera and the Hall Riviera) which can be used together or separately. 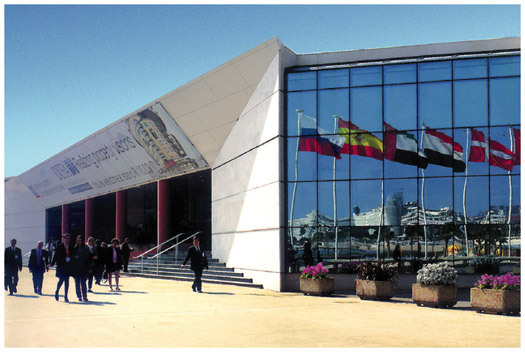 Hall Riviera : 3,619 m² of exhibition space. including a lounge area of 634 m². Direct access links the 2 buildings, from level 0 of the Hall Riviera to level 01 of the Hall d’Exposition.